Sonos today announced that for a limited time you can get the "Sonos Two" bundle – two Sonos Ones for just $349 in the US and £349 in the UK starting on January 26. 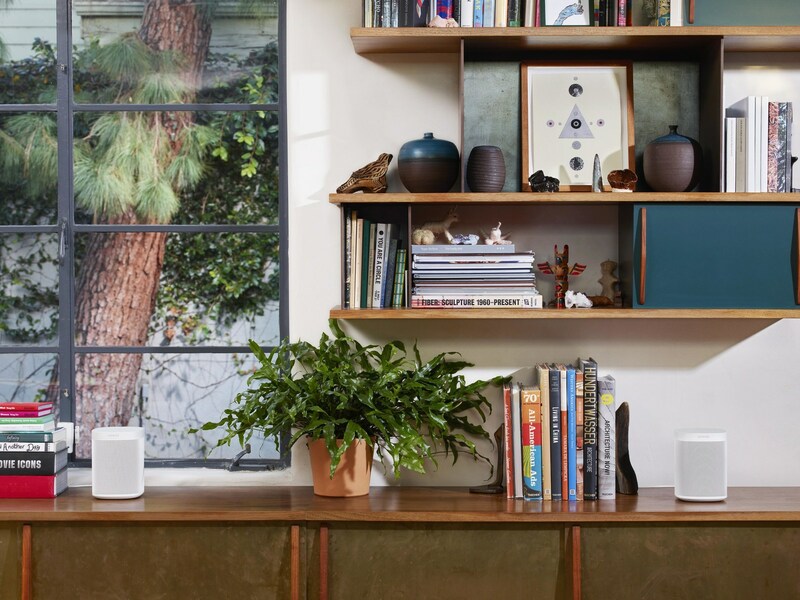 Launched in October of last year, Sonos One delivers great multi-room sound, the widest selection of supported music and audio content services available on a smart speaker, and easy to use voice control. This limited time offer on the smart speaker for music lovers is available on Sonos.com and through participating retail partners. "Sonos One sounds incredible on its own, but the ability to have a stereo pair or have music in two rooms vs. one at $349US feels like it's an easy choice for those who truly love music," said Joy Howard, chief marketing officer at Sonos. "We believe in freedom of choice and don't want to lock people into a specific ecosystem – it's why we support more than 80 streaming services globally and will take an agnostic approach to voice assistants as well." Sonos has previously announced that the Google Assistant as well as Apple AirPlay 2 will be coming to its platform in 2018. Sonos One pairs the awesome sounding multiroom audio capabilities that the company pioneered with voice control. In addition to support for music, podcasts and everything else that customers love about Sonos, Sonos One allows owners to enjoy other great things people love about Alexa – the latest weather updates, ability to set timers, access to flash briefings, news and traffic reports, as well as the latest sports scores. More music services: Added Spotify voice control in November. More of the information you want: Added support for Flash Briefings – a feature that Echo owners love. Smarter responses: More accurate wake word responsiveness when it's noisy, when talking quietly, or when Sonos One is further away. Streamlined set-up: We have improved the set-up process with auto-skill enablement to reduce the number of steps to get started. To learn more about Sonos' commitment to music lovers, visit the Sonos Blog.